Lol. 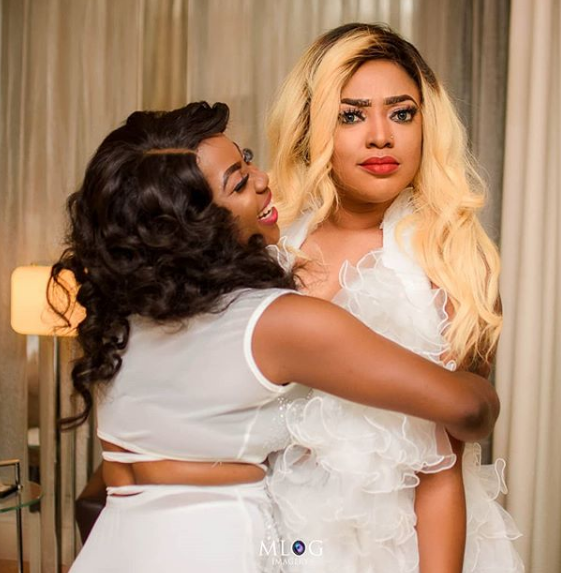 It was 2018 only hours ago and has the year was running to an end, Nollywood actress Tayo Sobola left a threat, warning a certain person she’s got receipts of her dirt and if care is not taken she will spill. 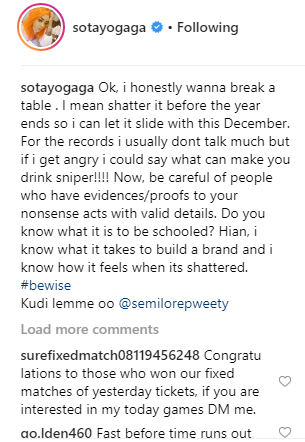 A colleague, Dayo Amusa, jumped on her comment section and encouraged her to spill. She even asked her to be fast about it while laughing out loud. ''Ok, i honestly wanna break a table . I mean shatter it before the year ends so i can let it slide with this December. For the records i usually dont talk much but if i get angry i could say what can make you drink sniper!!!! Now, be careful of people who have evidences/proofs to your nonsense acts with valid details. Do you know what it is to be schooled? Hian, i know what it takes to build a brand and i know how it feels when its shattered. #bewise Kudi lemme oo @semilorepweety'', she wrote while posting the above photo.